These are the most adorable little white cotton hand crocheted booties! Made by Will'Beth, the booties feature delicate white cotton crochet work edged with pink trim. Tiny pink ribbon insertion accents the booties. Pink ribbon ties at the ankle complete the sweet look. 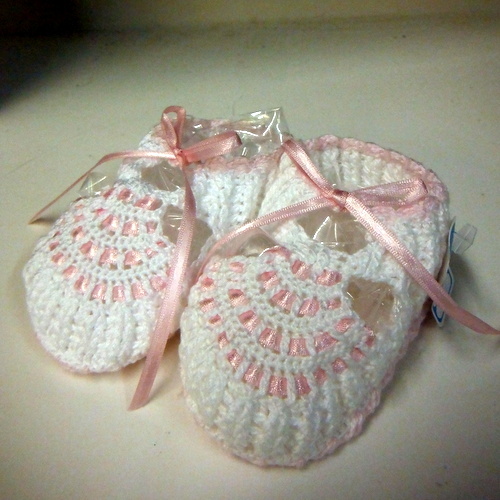 Perfect for christening booties, a baby shower gift or a newborn baby gift.